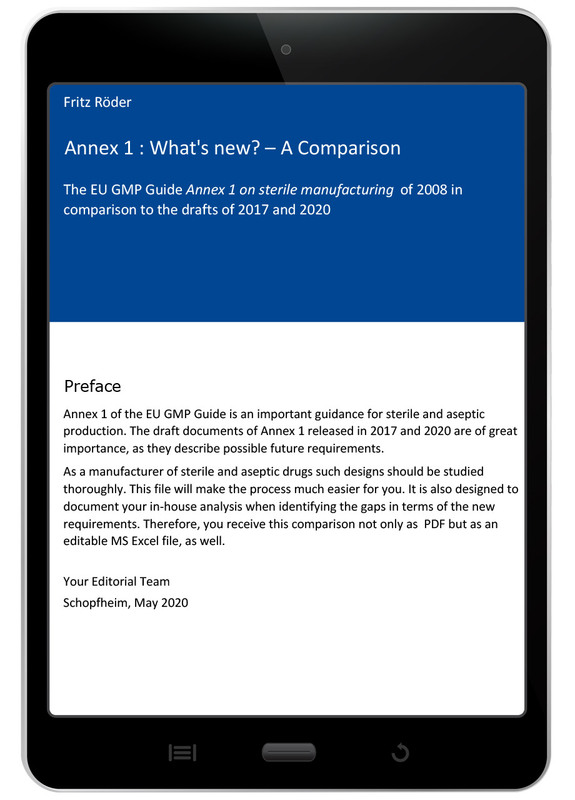 The draft of Annex 1 of the EU GMP Guidelines keeps numerous responsible persons in the pharmaceutical industry busy. Are you already prepared for the possible changes? 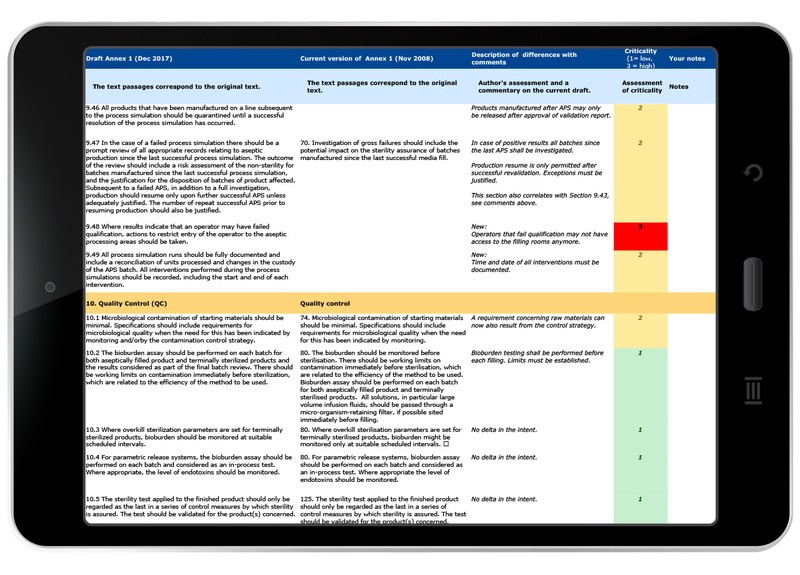 Based on a comparison with the currently valid version this download demonstrates where action is needed. 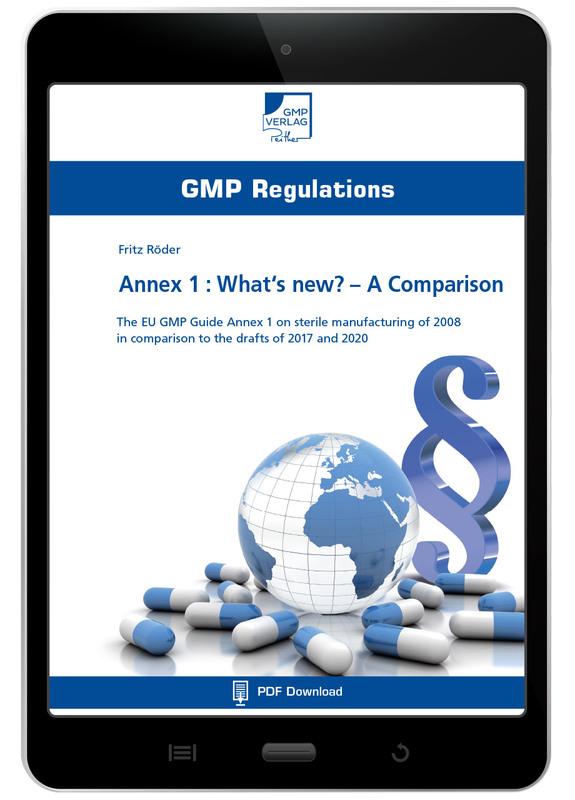 The draft of Annex 1 "Sterile Manufacturing" of the EU GMP Guidelines keeps many responsible persons in the pharmaceutical industry busy. Which aspects are going to change? Am I already prepared for this? This download will help you answer these questions. The author Fritz Röder has compared the currently valid Annex 1 with the draft, thereby providing an excellent overview and pointing out where action is needed. 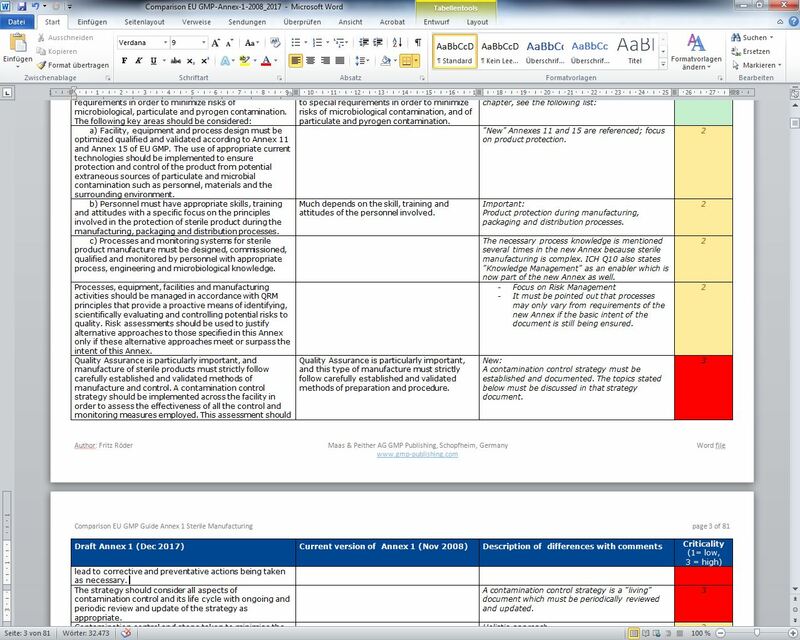 A criticality index of 1-3 evaluates the various changes. Even if the draft is not valid yet, it shows in which direction the authorities are thinking. You should be prepared for this, as a final version will soon be available. 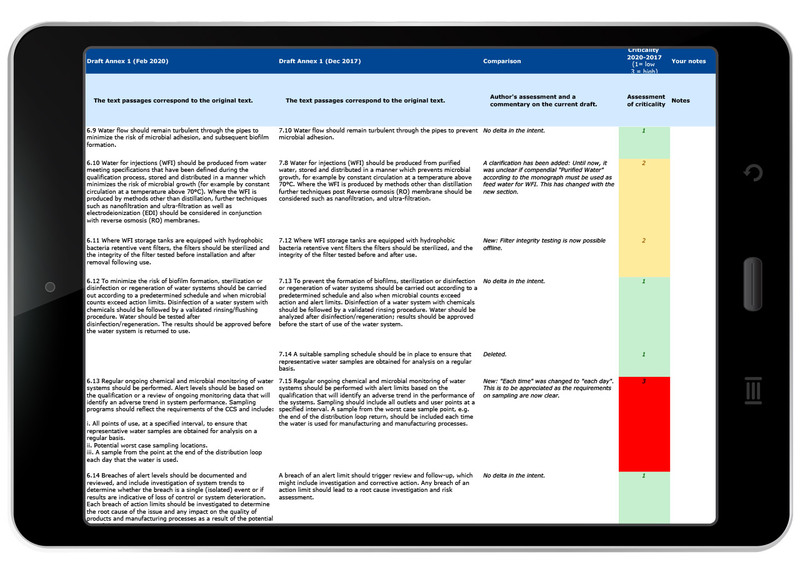 With the download you receive an extensive MS Excel table, a MS Word file and a PDF document. You can use the download in the format that helps you best.